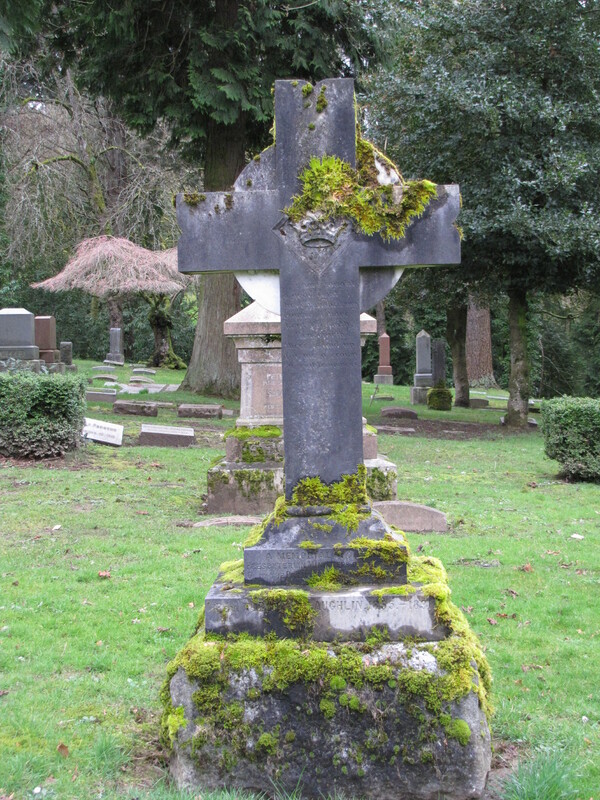 Nearly obscured by the moss hanging on this tombstone is the crown in the center of the cross. The crown is a symbol of glory and reward and victory over death. The epitaph on this memorial to prebyterian ministers makes it clear the reward comes after life and the hard-fought battle on Earth against the wages of sin and the temptations of the flesh. The reward awaits in Heaven where the victor will receive a crown of victory.